Lois Marie Jackson Hill obituary. Carnes Funeral Home. Lois Marie Jackson Hill was the youngest child born to Prince and Gertrude Perry on December 31, 1936. 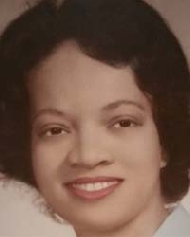 Affectionately known as Dear by her grandsons and great grand daughters, Sissie by family and friends, and Mama Sissie by nieces and nephews she attended Galveston public schools graduating a proud Bearcat cheerleader from Central High School Class of 1957, and Texas Southern University. She worshiped at Holy Rosary Catholic Church where she received the sacraments of baptism, First Holy Communion and Confirmation. Sissie is preceded in death by her parents, husband, sisters Doris and Annie Carol. Her legacy has been entrusted to her daughter Cheryl Hill, Arlington Texas, son Kevin Hill, Ft. Worth Texas, grandsons Brent McKinney, Houston Texas, Michael McKinney (Angel), Arlington Texas, Great granddaughters Addison McKinney and Amaya Reaux. Sissie’s circle of love includes sister Gertie Mavis, brother Charles Jackson, sister in law Juanita Jackson, aunt Bernice Brisco, nieces, nephews, great and great great nieces and nephews, cousins, lifelong friends Joyce Miller, Joyce Gulley, Harolyn Kidd both of San Antonio, Emma Lou Adams of Jasper Texas and Erma Davis of Las Vegas Nevada. A Celebration of Her Life will be held on Saturday, October 22, 2016, 3pm, at Carnes Funeral Home, 3100 Gulf Freeway, Texas City Texas 77591. Memorials may be sent to the Funeral Home.